A new book compares and contrasts the Catholic and Mormon faiths. 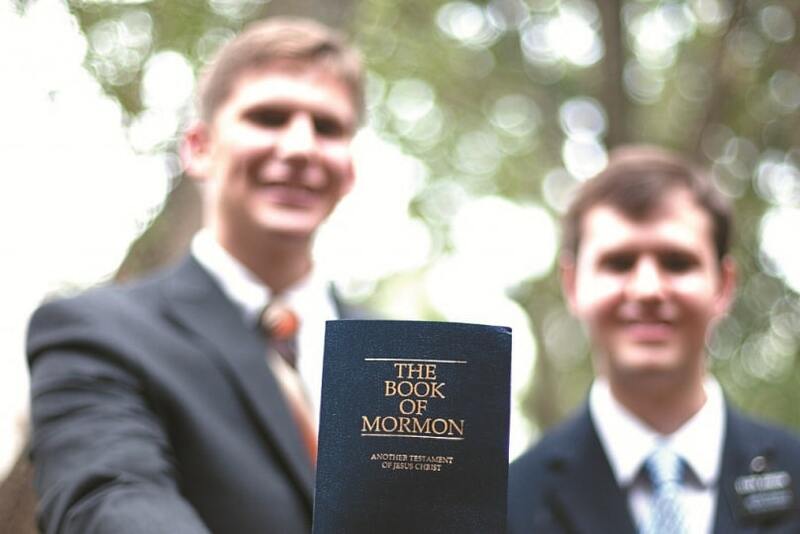 In Australia I think it is fair to say that most Catholics tend not to know think very much about Mormons or the Church of Jesus Christ of Latter-day Saints (LDS) until we find a well-dressed missionary from that Church at our doorstep. I must admit that that was certainly my position until recently. I do not think that I had ever met a member of the LDS Church, not even a brief encounter with a missionary at the doorstep, until I met Dr Keith Thompson in 2012. In 2010 Dr Thompson’s book, on what might be thought to be a particularly Catholic concern, Religious Confession Privilege and the Common Law, was published by Brill. When I was appointed dean of the University of Notre Dame Australia’s School of Law in Sydney Dr Thompson was teaching as a sessional teacher and in 2013 he was appointed as a member of the school’s permanent academic staff and as associate dean. He is a great contributor to the School. Generalisations are always dangerous but the LDS students, academics, family and friends who I have met over the last few years have all been well dressed, polite, committed to their families and their faith, gregarious and generally really helpful and (I can’t think of a better word than) nice. At the same time, I have become increasingly aware of the commitment of the LDS Church to religious freedom, to their contribution to charitable causes worldwide (often in concert with Catholic relief agencies) and to their support of the family and of traditional marriage. My interest in what they believed and why was piqued. This book is subtitled A Theological Conversation and that is a very fair description. It is a conversation between two academics – Stephen Webb and Alonzo Gaskill. Stephen Webb taught at Wabash College as Professor of Religion and Philosophy from 1988 to 2012. He is a theologian and philosopher of religion with degrees from Wabash College and a Ph.D. from the University of Chicago. He is also a convert to Catholicism from evangelical Christianity via the Disciples of Christ and Lutheranism. Alonzo Gaskill is a convert to the LDS Church from the Greek Orthodox Church. He is an Associate Professor of Church History and Doctrine at Brigham Young University and holds a Bachelors degree in Philosophy, a Masters in Theology, and a Ph.D. The book is divided into ten chapters which deal with authority, grace, Mary, revelation, ritual, matter, Jesus, heaven, history and the soul. It is evident that Webb and Gaskill do not begin their conversation from a position of complete ignorance of each other’s faith and the book is not intended to be a guide to either faith as such. The book lets the reader into a serious conversation between two theologians as they seek to learn more and challenge each other on their faith’s theological positions on the 10 basic areas that it covers. In the course of the book some of the significant divergences in the beliefs of the two churches become evident. In a very courteous and respectful discourse and without papering over those manifest differences for a moment, Webb and Gaskill consider some of the similarities between the two faiths. As a conversation between two academics with no intention or ability to bind their Churches, the conversation is free, open and very personal. I have no doubt that there will be theologians from both traditions who find agreement and disagreement with the personal views expressed about their faith by each. Whilst the founder of the LDS Church, Joseph Smith, appears to have had no exposure to the Catholic Church, it is clear he was deeply concerned by the divisions and splintering which had characterised Protestantism since the Reformation and that he recognised the need for true faith to have authority – indeed apostolic authority. Like the Catholic Church, the LDS Church believes in truth and in apostolic succession. It believes that it holds that truth and that the apostolic succession is not to be found in the Catholic Church but in the LDS Church. Like the Catholic Church the LDS Church looks to scripture (in its case an expanded scripture which includes the Book of Mormon) but it has a deep respect for the early Church fathers and is not confined to scripture for its teachings. Webb and Gaskill discuss the value that each faith tradition puts on the good deeds carried out during our lifetimes and how this interacts with grace. As the commitment to moral living, to the family, marriage and to charitable works run very deeply in both faith communities I would have found it very helpful if the conversation had explored the theological foundation for these beliefs in more depth. While this is a theological conversation, I would also have found it valuable if the discussion had also explored in some detail the various charitable and social works that organisations and members of the two faiths are working on together. Just as Webb and Gaskill seek to find some common ground in the faiths, there is no doubt that there are substantial differences in belief in the two traditions. Understanding the foundations of these teachings, some of which rest on a different – quite different – interpretation of passages of biblical scripture does not mean accepting them to be so, and conversion is not the purpose of either contributor to this book. For Catholic readers this book provides some glimpses into these beliefs. Similarly, Mormon readers will gain some understanding of the foundations for Catholic beliefs in transubstantiation, praying for the dead, purgatory, the significance of relics, praying for the intercession of the Saints and of the place of Our Lady in Catholic theology. In a short book covering such a vast territory, detailed exegesis on each topic is not really possible but the book generally does a reasonable job – from a Catholic perspective – of hitting some of the high points. This book lets readers share in a very interesting – and at times confronting and challenging – conversation. It is intended to prompt further conversation and deeper understanding. For readers from the Catholic faith or the LDS Church who wish to begin a journey of understanding about each other this book seems a good place to start.